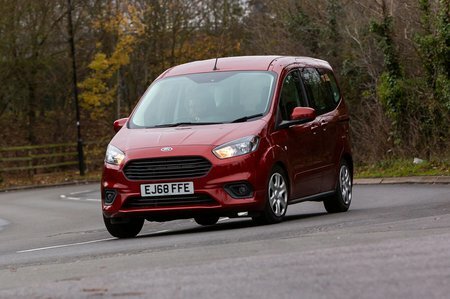 Ford Tourneo Courier Performance, Engine, Ride, Handling | What Car? Expecting a 99bhp petrol engine to cope with a car that weighs 1320kg might seem optimistic at best, but don’t fear. It’s the same engine you can have in the Ford Focus Estate, and it doesn’t feel out of place in this bigger package whatsoever. In fact, it even beats the 128bhp 1.5-litre diesel engine in the rival Vauxhall Combo Life for real-world power and progression. There's actually a surprising amount of kick from the petrol, especially at low revs, which makes pulling away from traffic lights a breeze. Acceleration remains reasonably strong right up to 4000rpm, and its flexible mature means you don’t have to change down too often makes and overtaking surprisingly easy. We’re yet to try the diesel, but it produces a bit more torque than the petrol and should be a good bet if you see yourself regularly lugging a laden Tourneo up steep inclines. The Tourneo Courier picks up surface imperfections quite readily, especially if they’re sharp. On a particularly poor town road the constant thumping can prove somewhat grating, but once you get on more open roads with gentler undulations, the Tourneo Courier copes rather better and feels generally quite comfortable. 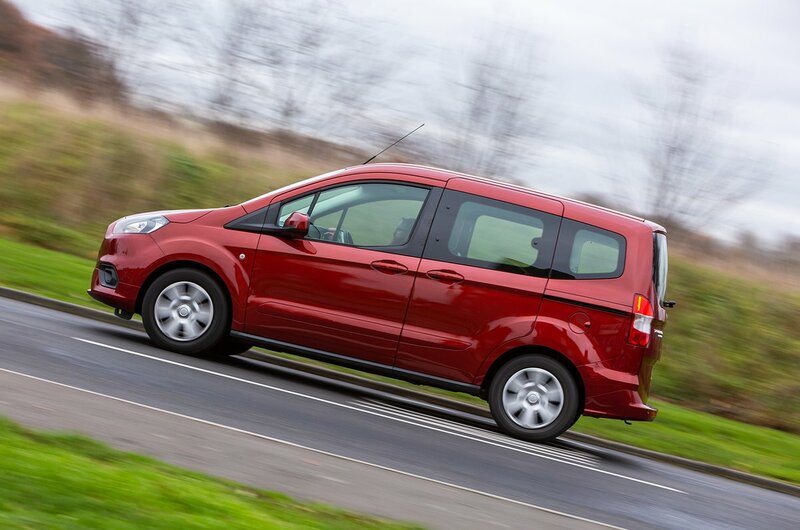 Body lean is also surprisingly well contained for such a tall car, and this, along with grippy handling and accurate steering, makes the Tourneo Courier easy to manage around corners. The steering is pretty accurate but unnecessarily heavy at parking speeds; like the ride, it lightens up and feels better resolved the faster you go. Wind and road noise are both noticeable at speed, but the thrummy engine, which is ever present in town, quietens down once you hit a steady 70mph cruise.